Tarnec Brodix, super-mathematician from an external cosmos, accidentally destroys his universe. The destruction begins to spread into our own cosmos in the form of a Dark Tide of Absolute Nothingness, destroying all light and heat. Stars, nebulae, galaxies--all are disappearing before the relentless advance of a mathematical fault in space-time. Unable to save himself, Brodix transfers his knowledge into the one mind in the Earth universe receptive enough to receive it: that of Sefian, the son of Sefner Quorne and Viona, daughter of the Golden Amazon! But how can a mere two-year-old boy save the universe from destruction--particularly when the Earth has been invaded and conquered by an alien race? Classic super-science adventure in the grand manner! 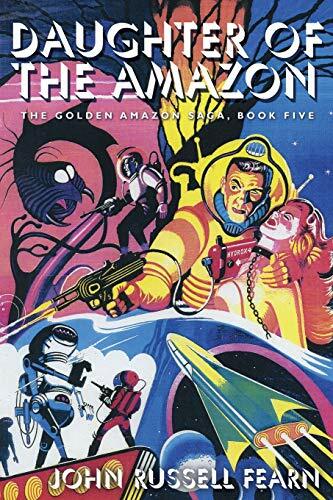 The Golden Amazon Saga, Book Five.